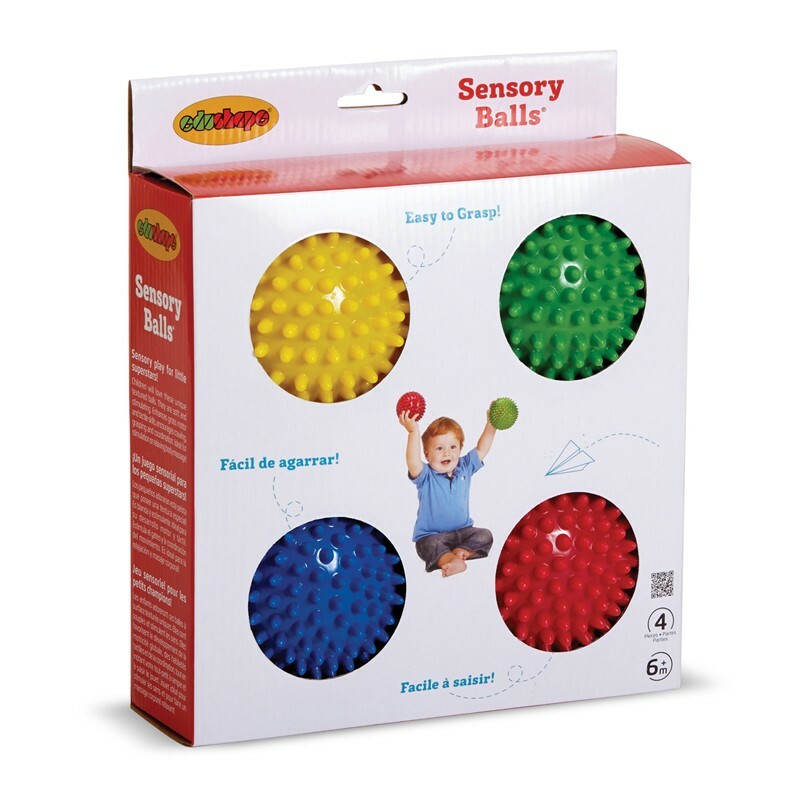 Infants can squeeze, roll, throw or kick these colorful and textured balls. Their bumpy surface offers a tremendous sensory play value for the young athletes. Set includes 4 primary color balls, 1 each of yellow, blue, green and red. The colorful nubby balls are great for fun and therapy. Measures 4" (10 cm) D.